Coming from Paris by A4 highway, exit Sarre-Union, then direction Drulingen without entering the city, continue to the roundabout and then follow the blue route from the map below. 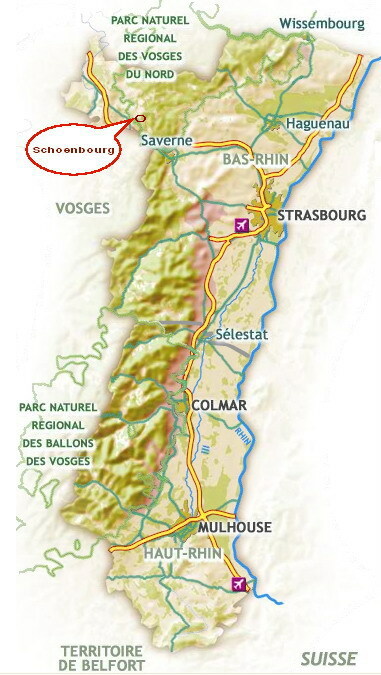 From Strasbourg by A4 highway, exit Phalsbourg, then direction Sarre-Union, at Metting turn right and follow the blue route from the map below. When you arrive in the town of Cottage, go to the church and take the "rue de Graufthal." The Gite Beaubourg is in the last house on the right site at No. 22.